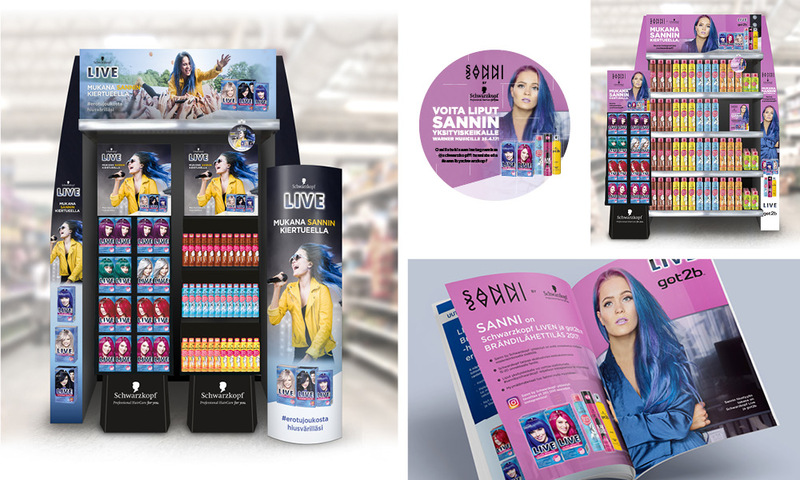 We design the seasonally changing Sanni by Schwarzkopf promotional visuals and materials. When creating the design we are always mindful of the key message that is targeted to specific audience and activates the potential customers. Promotion’s store visibility is also supported by web and print advertising, which adds value through different medias.